In Awe of My Co-Writer! I have shared with many of you that I have been working on a middle grade novel over the last few months. I have been inspired and cheered on by the wonderful writing group that I met through Two Writing Teachers. I feel so lucky to have Stacey, Margaret, Catherine, and Julie in my writing life and beyond! ten, she was diagnosed with osteosarcoma. Since then, she has undergone several surgeries, including the amputation of her left leg, as well as many rounds of chemotherapy. My book is loosely about Kelly, so when I completed the first draft of it, I shared it with her and her family. I wasn't sure how they would feel about their story being potentially out there in the world. Our work over the last couple of months has been how to give Kelly a voice within the novel. Her mother came up with the idea of Kelly writing journal entries throughout the story. Kelly and I have been trying to find time to sit down together and map out places for entries, and today was a wonderful opportunity for us because of the snow day. We met for over two hours, reviewing the chapter sequences, the story lines, the inconsistencies of some of the medical treatments. I walked away with a few new chapters that I need to write (I thought I was done...), and Kelly has several journal entries to work on. Regardless of what happens with this project, her sense of purpose and commitment to our writing blows me away, and I am honored to share the writing of this novel with her. I would not wish the experiences that Kelly has endured on anyone, but she has a story that she wants to tell and people whom she wants to honor. I hope that many people get to read it one day. 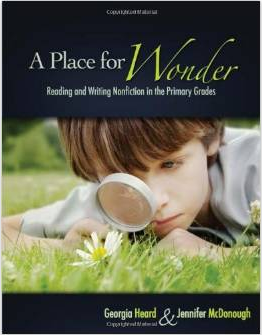 I wish that I could remember who recommended A Place for Wonder by Georgia Heard and Jennifer McDonough so that I could give that person their proper credit. Sometimes, when I am reading Monday posts, I just place titles into my Amazon cart, and I know that this is how I wound up with this book in the brown box on my doorstep. Whoever suggested it, thank you! Even though many of the descriptions are of early primary classes, all elementary teachers could use the ideas in this book. Jennifer McDonough, the kindergarten teacher who writes reflections throughout this book, created a "What Do You Wonder" center in her classroom. 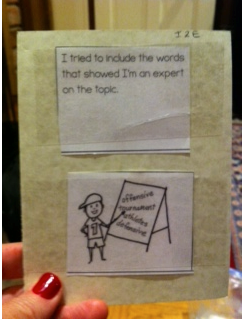 The result was teaching students to ask meaningful questions. I loved the concept of teaching students about different types of wonders. There are "heart wonders"--what makes a good friend? But there are also "research wonders" that we can find answers to in books or in other sources of information. Additionally, there are combination wonders, and there are no-answer wonders. What a cool way to sort wonders and keep discussions going! A Place for Wonder has some important messages for classrooms. Encourage curiosity, tap into students' passions, teach how to ask and answer questions, create reasons for authentic research, and allow students to present their findings. Additionally, take the time to slow down and look closely, noticing what is around us with all of our senses. These skills can transfer to the close reading we want from students, as well as the detailed writing we want them to create. I recommend this book as a practical reference with many lesson descriptions and templates to use, as well a resource to inspire curious, passionate learners. 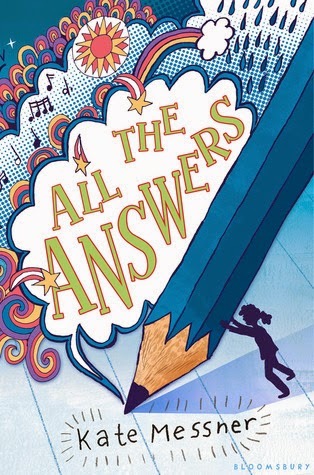 All the Answers by Kate Messner hits shelves on this month on January 27th! I love all of Kate Messner's books so I was very excited to get an advanced copy via Netgalley. Like all of her books, this one did not disappoint! Twelve year old, Ava, discovers that the pencil she grabbed from the drawer for her math quiz is no ordinary pencil! This pencil tells her the answers when she writes down questions. Each time she writes down a question, a small voice tells her the answer. She immediately reveals this exciting secret to her friend, Sophia, and together they figure out that the "pencil" will only answer factual questions. 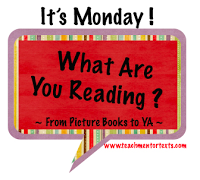 The reader goes along a journey with Ava and Sophi as they try to figure out who the voice is within the pencil and why this pencil has secret powers. It is a fun book that kids will definitely enjoy reading! The Contract by Derek Jeter and Paul Mantell is the first book in Jeter's middle grade series. As a dedicated Yankee fan, I was excited to hear about this book when it came out in the fall. Derek Jeter was not only a legendary baseball player, but a great person and role model for children. This book is about Derek Jeter's childhood and how he became inspired to become a baseball player. Through the book, the reader learns how strong Derek's work ethic was as a child and how he persevered to make his dreams come true. 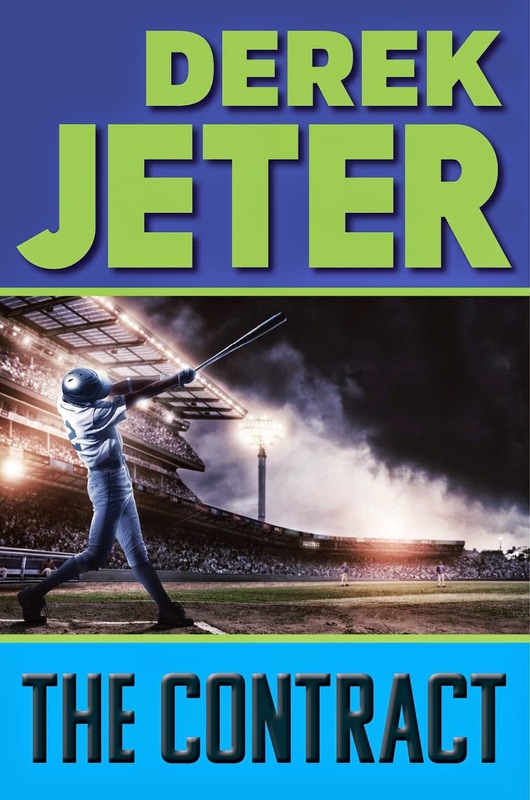 Any baseball fan, especially Yankee fans :), will enjoy reading this book about Derek Jeter as a young boy and learning how he became the great baseball legend! Colleagues and students who know me as a reader, know I am not a fan of fantasy or scary ghost books! 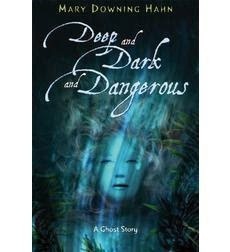 One of my students last year tried to get me to read Deep and Dark and Dangerous by Mary Dowing Hahn, but I unfortunalely kept refusing. This is not like me because I usually always read books my students recommend. However, the title along with the scary cover caused me to continue to say, "no." This year, she continued to recommend it every time she saw me in the hall and was relentless in getting me to read it. She eventually came to my classroom and just handed me a copy of the book. I suddenly realized that this student, just like all my students, knows me as a reader and if she was this determined to get me to read it, it must be a good book! I read this book in one sitting and could NOT put it down! It is a suspenseful page-turner that keeps the reader wanting to read on and try to solve the mystery! It all begins when 13 year old Ali finds a photo that has a mysterious third girl in it with her mom and aunt at their lake house when they were kids. However the third girl has been cut out and when she asks her mom and aunt about it, they both deny that they even knew a girl at the lake and their reactions tell Ali that there is more to the story. She finds more clues and is determined to find out who the third girl is and why her mom reacts the way she does. Ali jumps at the opportunity to spend the summer at the lake house with her aunt for the first time to uncover the mystery…Read the book to find out what happens! Thank you Isabel for recommending this book to me and not giving up! This morning, I stopped by one of our kindergarten classrooms and the teacher, Hayley Brown, excitedly showed me how her student was working on her writing. This student had a clear story to tell about the first day of school and the read aloud that she remembered. This young student explained to me that sometimes she forgets what she's going to say, but her recording helps her remember. Her teacher walked away as the student showed me how she could find her video, locate the place where she needed a reminder, play it a couple of times, and then write. She impressed me enough to blog about it tonight. Her teacher asked her mom if we could share this young writer's voice and finger as she plans her story. The pages that you will watch her plan in this video are full of words now. Enjoy the planning and process of this young writer! 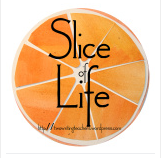 Slice of Life: It's a Great Time to Start Kidblog! Unless your students become obsessed with posting videos, it's free. Nothing teaches writing better than writing. We slicers know how motivating it is to have responses and comments. And, if we really think about it and analyze our posts, we know the sort of posts that generate a lot of responses. Students can learn this, too. They can learn how to write for an audience, in a way that gets people to pay attention. What an important skill for them to learn! You will get to know your students better than you already do. Many students will share emotions, fears, conflicts, and passions that are jam-packed days just don't provide time for us to get to know. One of our teachers shared her students' posts with me and I have all kinds of conversations to have with some of her students. Admittedly, these students are not mine, and maybe I would have known about some of the skiing adventures or riding obsessions if I saw these children every day. But days are packed in our classrooms, so we might not know as much about our students as we think we do. For those of you who are already blogging with students, please share reasons to start. For those of you who are thinking about it, go for it! 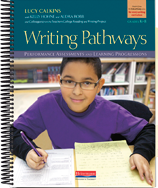 The newest version of Writing Pathways by Lucy Calkins is one of my favorite new resources, at this point, mostly for the new checklists with pictures. If you have any money left for professional resources, I recommend this one. It is $47 well spent. So, how have we been using these checklists? Many teachers are still using them throughout the units to help focus their teaching points, to remind students of goals they are working on, to challenge students to reach for higher levels, and to scaffold students to learn within their zones of proximal development. In classrooms where I am coaching, I have starting using tripods at student work stations. That way, the charts and teaching points are closer to the students. I have made cards by cutting up the checklists. That way, when I confer with a student and he/she sets a goal, I can support that student with a visual reminder and I know that it is aligned to the grade level standards and coordinates with the unit's teaching points. I have made grade level sets of the checklists, coding the cards with the genre (N, I, and O), the grade level, and the category (S for structure, D for development, and C for conventions). My biggest problem is that I keep leaving my cards behind with students when I am in their classrooms. I'd love to hear about other ways people are using the checklists. These are such powerful tools for getting students to develop independence and responsibility for their own learning! I spent my day collecting ideas for my slice of life post. I should have written it yesterday when we had an unplanned "rain day"--nothing about it warranted a school cancellation. Somehow, I managed to find enough to make my day of nothing really busy. I thought I would have time to write my slice before my daughter's basketball game. I'm glad I didn't. Nothing that I collected over the course of the day compared to the halftime show. In Farmington, we have a strong unified sports program and many, many of our students are involved with our students with special needs. Tonight was the Unified Alumni versus Current Students Game, and I have known several of the athletes who played since they were in preschool. 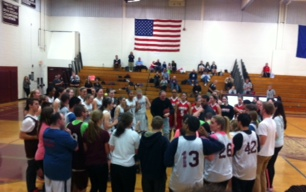 During the halftime of an intense varsity game, all of the fans from both towns cheered as people with a wide range of disabilities shot, scored, dribbled, defended, rebounded, passed, laughed, and celebrated themselves and each other. There was an incredible amount of joy on the court during halftime! When the opposing team returned to the court, they could have been annoyed that they couldn't warm up. Instead, they all sat on their bench and cheered with us. And when the game ended, our varsity team high-fived the players, as all of the fans gave them a standing ovation. Wait. It keeps getting better. The other team, a highly competitive rival of ours from a neighboring town, joined the Farmington teams in the center of the court to congratulate and give one last cheer for the halftime players. My picture doesn't do justice to the sportsmanship, acceptance, and positive spirit of these teenagers' actions as they all shared the court. #soproud. Over the next few days, I will be sharing some of teaching moments that I collected today. Tonight I am sharing a celebration. We had a snow day here in Connecticut (which was really a rain day, but that's another story), and I was able to spend some time at the local book store reading some of the newer picture books on the shelves. So many examples of end punctuation! One of my favorites of the day was Goodnight Already! by Jory John and Benji Davis. I could easily see using this as a mentor text in a writing workshop to illustrate conflict, different types of beginnings and endings, as well as several convention moves. On one particular page, there are several examples of periods, question marks, and exclamation marks. How fun would that be for teaching first-graders the importance of end punctuation! 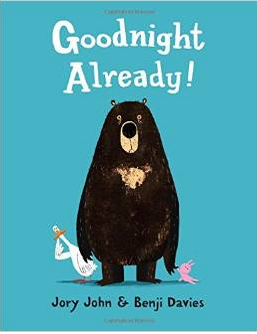 Goodnight Already also has several opportunities for young readers to talk about "what else" is happening on the page, even a couple of pages without any words. 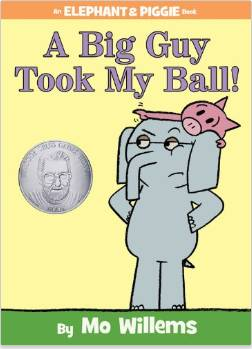 We always have to read a Mo Willems book, and today we read A Big Guy Took My Ball. If you have not read this one, find it and read it. Soon. All of the Elephant and Piggie books have messages for living, but I especially liked this one because it was so much about empathy and perspective. A big ball to a pig is not a big ball to a whale. Also, in our competitive world, it's good to talk about the fact that we can usually find people who are smarter, faster, stronger, richer, thinner...yes, Elephant, there is someone who is bigger than you. 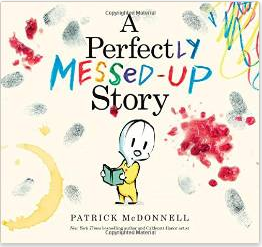 Although I am not positive how I would link A Perfectly Messed-Up Story by Patrick McDonnell to writing workshop, I think that young children would think that the premise of this book is hysterical. Furthermore, the message that could come out of this book is important as well, since the main character struggled so much with perfection that he froze and gave up. Don't we all sometimes? I have a new idol and his name is Brad Meltzer. I had not seen Brad Meltzer's series about ordinary people who changed the world until today. I read his book, I am Rosa Parks. 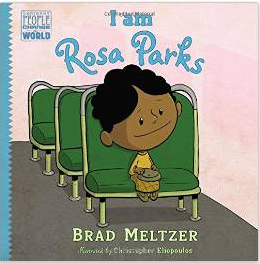 Told as a personal narrative, Brad Meltzer weaves in many facts and details through Rosa's voice. In addition to Rosa Parks, he has written others from the points of view of Albert Einstein, Jackie Robinson, Abraham Lincoln, Amelia Earhart, and Lucille Ball. With not only the narrative, but also the graphic representations and speech bubbles, readers will come away with so much knowledge about the person and time period! In addition to the body of the text, there is also a section in the back with photographs, archived information, and additional resources. For anyone with a biography unit, I highly recommend these for middle to upper elementary students. Over the rest of the week, the majority of my reading time has gone to my on-line writing group. I am so grateful to these people for having the courage to share their writing and critique mine. Some day, I hope to write about their books with a link to Amazon! 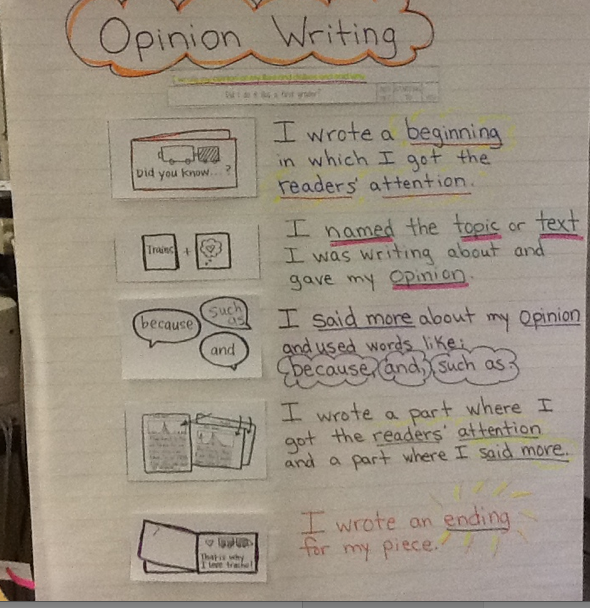 Our fourth-graders are getting ready to start their information writing unit. Instead of a classic writing workshop lesson, I co-taught a lesson today where their teacher read them one of my favorite mentor texts, It's All About Me-ow by Hudson Talbott, and I wrote down what I noticed that the author did as an information writer. As the classroom teacher read, I jotted down what I noticed about the book, but I purposely stayed just behind the teacher as he read. That way, some of the students felt like they "noticed" first, while some of them "noticed" because I did. Either way, every student was engaged and they all have a list of craft moves in their writer's notebooks that they are excited to try in their own information books. That being said, I think that it's really important that we don't obsess with having perfect charts. I loved the fact that the entire left-hand column is added because of what the students noticed and I missed. They were so proud of themselves! I highly recommend Hudson Talbott's book as a mentor text for information writing because he does such an amazing job of including information with humor, voice, figurative language, and text features. 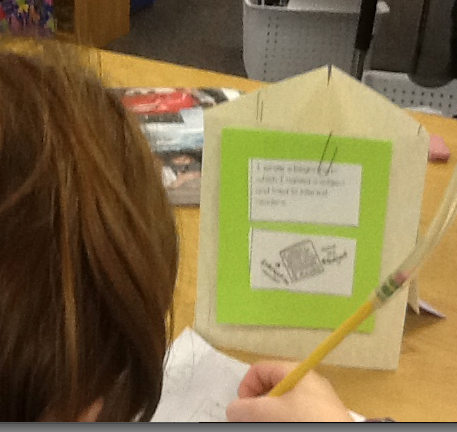 The students loved the story and the craft moves--I can't wait to see what they write! As new units begin, I also recommend having this sort of inquiry with any unit at any grade level. Read an appropriate level mentor text, especially one that the class has already read. Talk about the craft moves, the impact, the reasons that the writing piece works. This chart, admittedly messy but created together, will serve the students well throughout their unit as a source of inspiration for their own information pieces. While a lot of my reading time was dedicated to reading the work of my writing group, as well as rereading and revising my own work, vacation offered enough time to also read some wonderful new books. 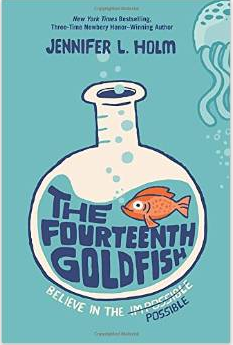 The Fourteenth Goldfish by Jennifer Holm reminds me of a contemporary Tuck Everlasting, and that is a huge compliment. With humor, memorable characters, and a fast-moving plot, Jennifer Holm imparts a powerful message about immortality and the importance of learning for the sake of learning, while weaving in lots of scientific information. 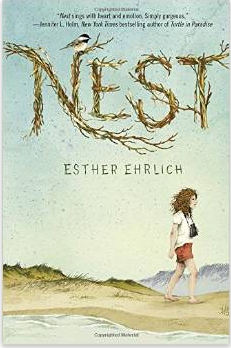 Nest by Esther Ehrlich is a beautifully written story, but warning: it is agonizingly sad! The main character, Naomi, has more to deal with than any eleven year-old should have, ever! Set on Cape Cod in the 1970's, she has to deal with a mother with a serious disease and ensuing depression, religious discrimination, an over-analyzing father, and a struggling older sister. There are infinite passages throughout this book that serve as mentors for establishing plot, tension, character turning points, and inner turmoil. Just be prepared for some vivid memories of life in the 70's and some incredible tear-jerking scenes! 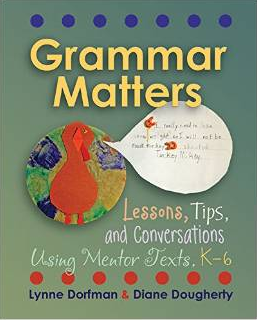 Grammar instruction remains at the forefront of some of my work for this year, and I highly recommend Grammar Matters by Lynne R. Dorfman and Diane Dougherty. This book is full of explicit teaching points, specific references to mentor texts, connections to standards, examples of student work, and anecdotes from model classrooms. Furthermore, the teaching points and lessons are written in workshop format and structured within specific units for specific grades. With extensive appendices, this is an incredible resource for aligning workshop instruction with the Language Standards of the Common Core. I had not planned to take a blogging break over the holidays, but family, parties, and an overabundance of distractions got in my blogging way. I have been reading posts though, and watching people debate and decide on their one little words for 2015. I have never been good at making and sticking to resolutions. (Full disclaimer: I've been better and making them than sticking to them.) However, for the last two years, I have committed to One Little Word. I wish I knew who to give credit to for this idea. The concept is simple; decide on a word that will help you, guide you, inspire you, make you a better person, help you achieve your goals...just one little word. My #OLW for 2013 was present. All year long, that one word inspired me to play more attention to the world around me. I still return to that word when I begin to feel unsettled. Last year, for 2014, my #OLW was kindness. I have four daughters. I'm six months away from having four teenage daughters. Kindness was an important word for me to remember, as there were several days when our house needed large doses of it. (If only I could get them to choose one little word and have it be kindness!) I'm thinking that words can accumulate over the years, as I don't plan to forget about how remembering my words helped me to be a better mother, wife, friend, and person over the years. I am choosing this word because my life has been feeling so rushed and I forget to let people know how much I admire them, worry about them, care about them, appreciate them, love them. I want to do better at acknowledging the love, achievements, and struggles of people in my life--both my personal and professional worlds. For today, I am not going to share the runner-ups. Maybe I will use one of them in 2016. For today, I am excited to move into 2016 remembering my previous words--present and kindness--and working on my 2015 OLW, acknowledge. Happy New Year to all of you, and thank you for all of the comments, support, and wisdom you have given me in this amazing blogging world.